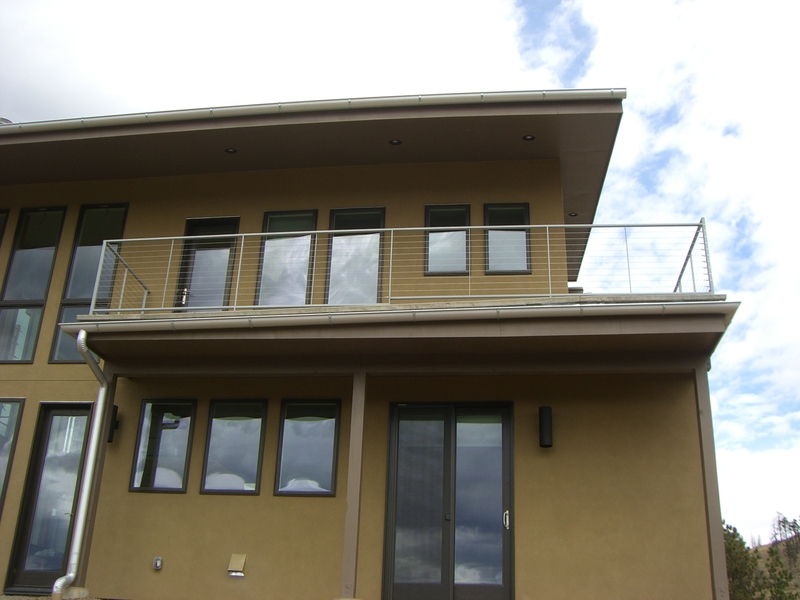 This new home construction in the foothills west of Boulder features the subtle and understated functional art of our cable railing system, both in the front of the house and on the side deck, keeping the theme modern and contemporary. 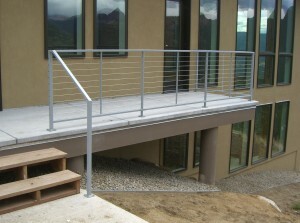 These outdoor cable railings are fabricated with the highest quality components and stainless steel cables. 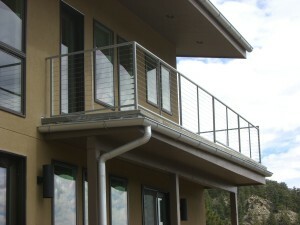 The frame is powder coated grey, keeping long term maintenance to a minimum and views of the Front Range unobstructed.